Notice how similar they look? 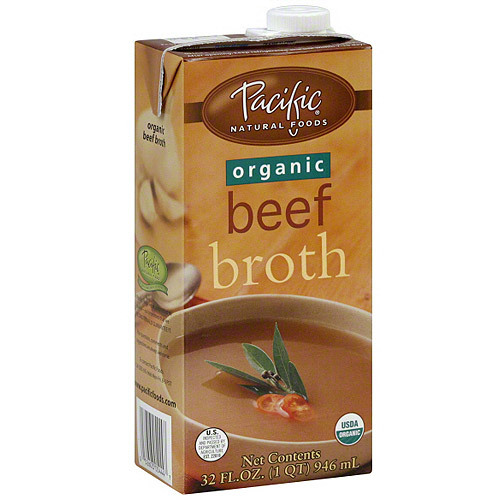 Like, if you grabbed one and not the other, you might not even think to look at the package, especially since they’re both kind of brown and also you kind of assume that nobody in your life is enough of a MONSTER to put a box of beef broth in the sacred position occupied by the chai. You know how when you’re expecting one thing and you accidentally get something else, it’s sort of an unpleasant surprise? Like if you’re expecting a delicious, sweet, chai latte and what you get instead is some kind of beef/warm milk combo? You know that feeling? No? Well, *I* know that feeling. Okay, but that’s not the fault of unlabeled containers, that’s only the fault of me being an idiot. Don’t worry, I didn’t lure you here with false promises; I have another story. We always have a lot of unlabeled containers in the fridge. On any given day, we probably have 15 or 20 unlabeled quart and pint jars spread throughout the fridge containing various liquids, jams, yogurts, and pastes. This is at least an improvement upon my house growing up, where everything was in old margarine containers, sometimes with things like “Green Peppers” written on the lid in sharpie five years ago when the container presumably actually did contain green peppers. At least our jars are transparent, if not actually distinguishable. So naturally, when Sara made some homemade chicken stock, she put it in quart jars and put them in the fridge. I’m talking the real stuff: chicken carcass boiling away on the stove for a full day with some carrots and celery and seasoning and love and a lot of time hard work. Sara was making an enormous pot of soup, and she included two jars of chicken stock and one jar of pure sugar water. It was…sweet (to say the least). It honestly wasn’t *that* bad but, after the multiple days of effort wasted, Sara couldn’t even bring herself to eat it. “No, it’s really good!” I proclaimed, but she wasn’t having it. This was a BIG pot of soup, and even with efforts that bordered on heroic, I couldn’t stomach the thought of a third day of too-sweet leftovers, so I eventually had to dump it.